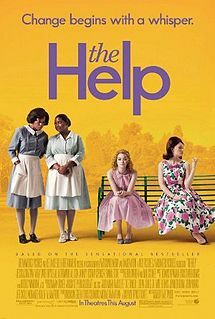 A few weeks ago, I read Katheryn Stockett’s beautiful novel, The Help, which came out a couple of years ago and just this month debuted as a movie. It’s a beautiful book, my friends, telling the story of women, white and black, in Jackson, Mississippi, in 1963 and ’64, at the height of the civil rights movement. Despite the darkness of the story – and there was a lot of darkness at that time in the history of our country – it was so well told that when I finished, I simply … sighed … with satisfaction. Until, of course, the movie actually came out, and the criticisms began to rain down as if from on high. Yet another movie about white people telling black people’s stories, the critics said. Why do black people always need white people to speak for them? they asked. Don’t people realize that black people have voices too? When I heard these critiques, I stopped for a moment and wondered: Have any of these people actually read this book? Don’t they know that this book – I don’t know about the movie; I haven’t seen it yet – that this book is not just about a white woman telling the stories of black maids? That it is, in reality, a story about transformation? Because that’s what the book really is, my friends. It’s the story of women – black and white – who in telling their stories realize that they are not bound by the story that formed them from before they were born. It is a story about women – white and black – who realize they do not have to conform to the world in which they were born and raised. In the telling of their stories, these women are transformed by the renewing of their minds – by the setting aside of prejudices and hatred and fear – so that they indeed can realize what is good and acceptable and perfect. The Help is the story of transformation from evil to good, from mistrust to love, from silence to bold proclamation. And isn’t that what it means to be a Christian? 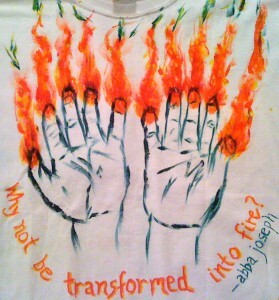 To be transformed? To have our whole lives turned upside down and inside out so that we can then go out into the world and by our very lives, transform it? Of course, you all don’t have to read this book or see this movie to know about transformation, do you? For the past two-plus years, you’ve had Cynthia Gilliatt here with you as your priest, and if ever there was a person who refused to conform to the world, it was Cynthia. Like the women in the book, Cynthia refused to conform to a world that wanted to shut her down and shut her out. I know the news of her death this week came as a shock to all of you, as it did to all of her friends and acquaintances around the Church. We had not known she was ill. We were not prepared for her death. At Cynthia’s funeral yesterday in Harrisonburg, The Rev. Grace Cangialosi, a good friend and colleague, talked about Cynthia’s refusal to conform to the world., about her desire instead to not only be transformed by the Gospel herself, but to transform the world around her through the love of God in Christ Jesus. And Grace talked about how Cynthia had paid the price for not conforming: About how the Church that ordained her would not let her serve fully as a priest for a long time, because … well, because, sometimes, the Church is stupid. Sometimes, the Church gets so caught up in the politics of the moment that it misses the person right in front of it. Which is why, Grace said, Good Shepherd was so important to Cynthia – this place became a place for Cynthia to call home, a place for her to fully be priest, a place where you all were blessed to baptize two children, the grandchildren of parishioners, in a strong show of support for a couple who were concerned they might not be accepted everywhere by everyone. Those baptisms were holy for Cynthia, transformative, and she reveled in them. 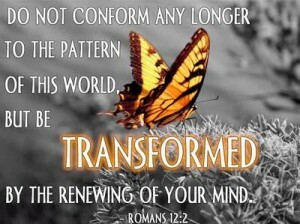 Do not be conformed to this world, but be transformed by the renewing of your mind, so that you may discern what is the will of God – what is good and acceptable and perfect. Cynthia didn’t conform – and it got her into some trouble. She knew that. She knew she could have gone along to get along, but that’s not who she was. Instead, she chose to not only be transformed herself, but to devote her life to transforming others, so that the will of God would reign on this earth. It wasn’t easy – and Cynthia knew that. But faithfulness isn’t always about “easy” – it’s about doing what is right. And that is what Cynthia did – what is right, no matter how much resistance she met along the way. And she did meet resistance, when the Church was being stupid, and she paid a price for living her life with integrity. But she never quit, and she never conformed. I have to tell you, there’s a new acronym in the Church these days: TAWWADI. It stands for: “That’s the Way We’ve Always Done It.” It’s a phrase some Church leaders are beginning to use whenever they run into resistance to change, resistance to new thinking, resistance to transformation. TAWWADI’s cousin is But We’ve Never Done It That Way Before – which makes for an unpronounceable acronym but means the same thing. It doesn’t matter which approach the resisters take – we’ve always done it that way, or we’ve never done it this way – the fact is, that kind of resistance most often is rooted in conformity, in going along to get along, in refusing to take the chance that perhaps – perhaps – God has a better way. Cynthia knew that God had a better way – for her, and for all the people around her. She knew she was called to priesthood, and that as a priest, she could live out a sacramental life, a Gospel life, and thus transform the world. Doesn’t that sound like Cynthia? Didn’t she invite people – didn’t she invite you – to a whole new, transformed life? She didn’t go along to get along – there was no TAWADDI in her life! Because Cynthia was a Gospel person. She was transformed by it, and through it, she transformed others. And that’s quite a legacy to leave behind. First, I want to reassure you: Your bishop, your convocation dean and all of the leaders of this Diocese will be here for you. They will support you, they will care for you, they will love you, and they will help you move into the next stage of your transformed lives as children of God. And second, please, I ask you – I beg you: Do not forget what it means to be transformed. For the last two-plus years, Cynthia Gilliatt has been with you, transforming you by word and deed. If you want to truly honor her, be as bold, as loving, as she was. 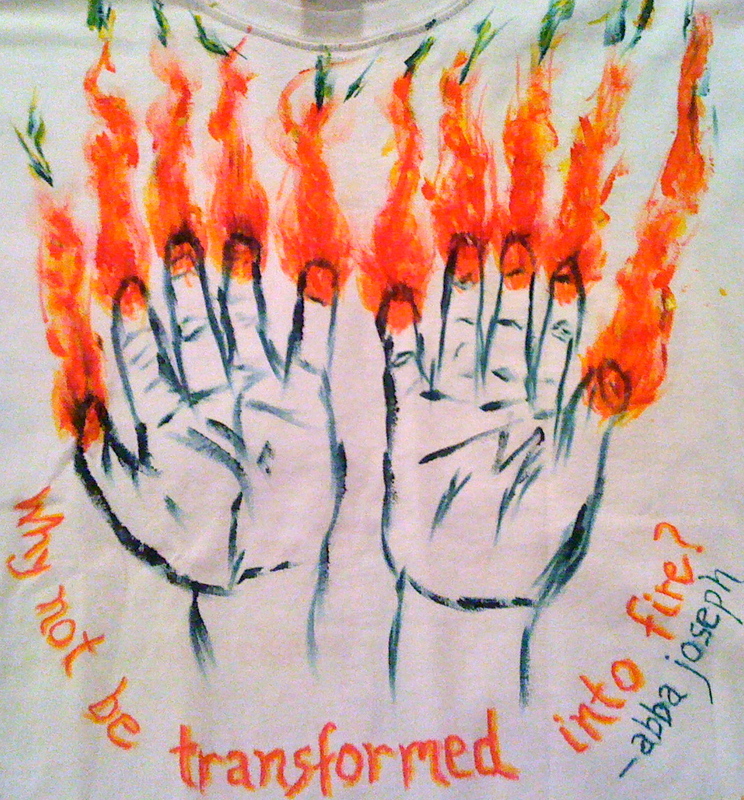 Let the Gospel transform you, and then go out into the world, and transform it. Tell the stories – tell your stories, tell Cynthia’s story, tell the story of you and Cynthia together. Then tell the story – the story of God who loves you from before you were born, who loves you every moment of your life, and who will love you to the ages of ages. Because in doing so, in telling these stories, you, like the women in The Help, and like Cynthia, will be transformed. Sermon preached at the Church of the Good Shepherd, Blue Grass, Va., on 21 August 2011, the 10th Sunday after Pentecost, Proper 16, Year A, in honor of The Rev. Dr. Cynthia Gilliatt, priest-in-charge who died on 16 August 2011. Peter J. Gomes, The Scandalous Gospel of Jesus. (New York: HarperCollins e-books), Kindle Edition, 45. Paul G. Hiebert. Transforming Worldviews: An Anthropological Understanding of How People Change (Kindle Locations 4598-4600). Kindle Edition.